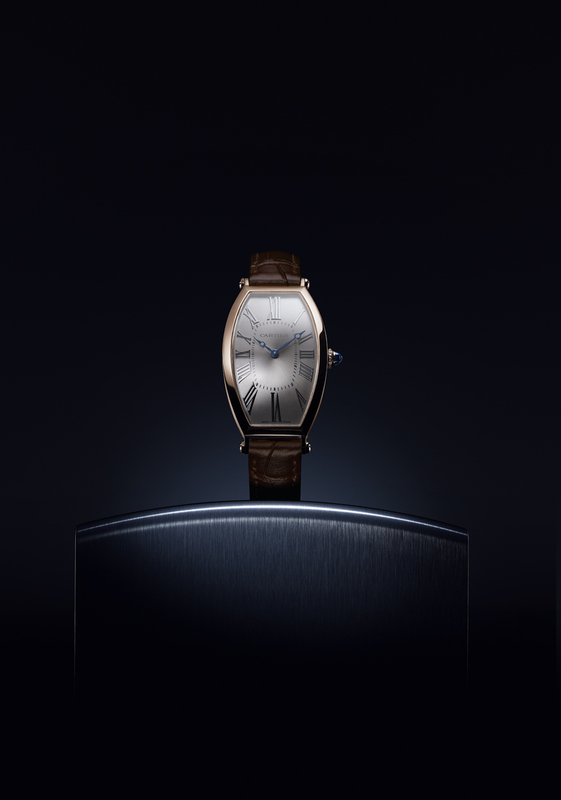 Cartier Privé celebrates the different shapes of men's watches through the Maison's iconic models. 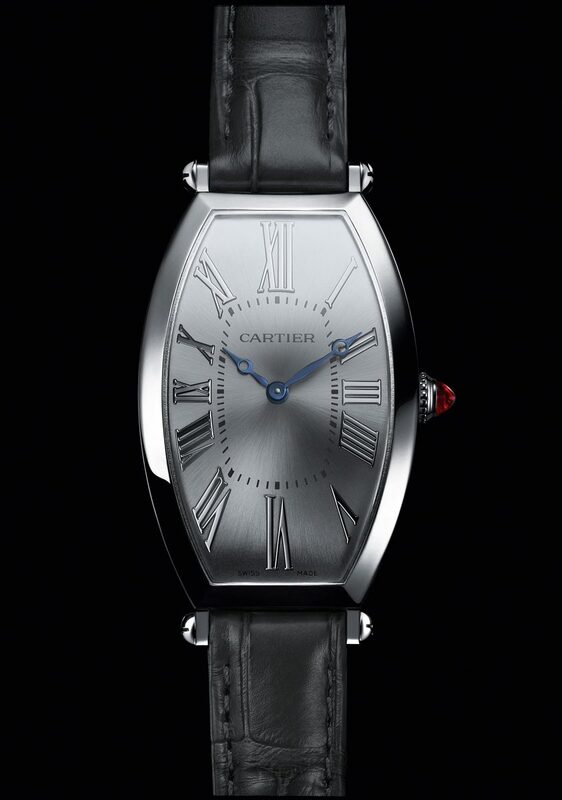 This year Cartier shines the spotlight on one of its oldest wristwatches, the Tonneau watch. Revealed in 1906, after the Santos watch in 1904, it once again challenged the tradition of round pocket watches. Tonneau? “Tonneau”, meaning “Barrel”, may seem a funny name for a watch. At the time it was still an oddity, but its shape was both strong and pure. The dial is on the cusp between a rectangle and an oval; the case curves slightly, tendering one of the first significant modifications aimed at fitting it better to the wrist. 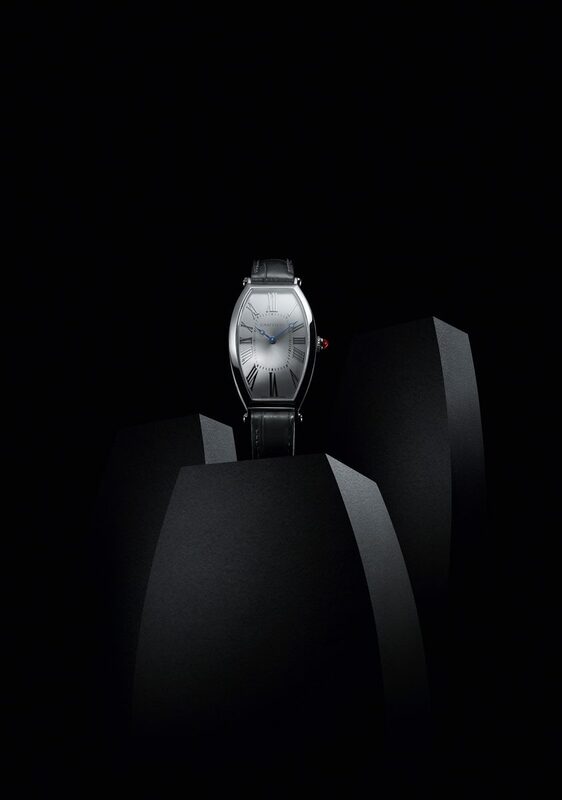 This year, Cartier celebrates this legendary watch shape with a redesigned hours and minutes model and a skeleton dual time zone model. Two brackets in pink gold or platinum create an oblong, curved shape that follows the contours of the wrist. 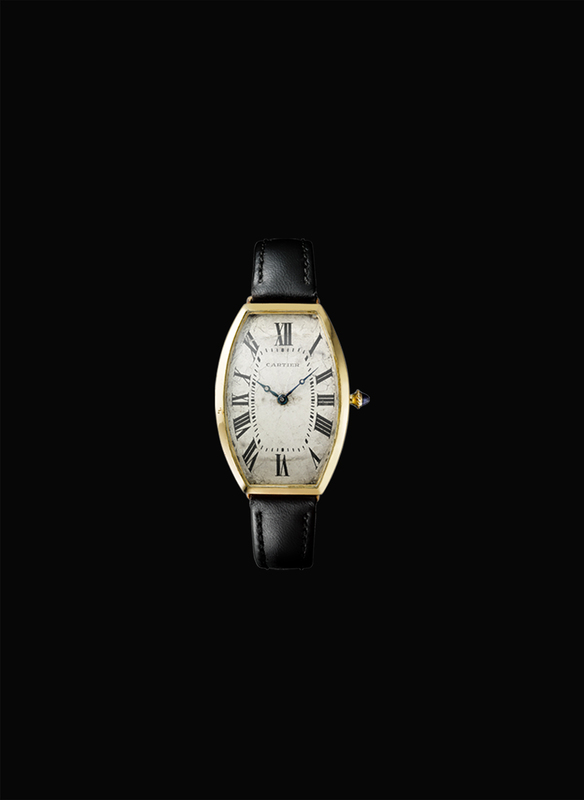 Roman numerals, a railtrack, a cabochon on the winding crown, leather strap, screws on the lugs – the codes of Cartier watchmaking are all there. The watch is undeniably true to the original 1906 model, even though everything has been reworked to fulfil modern-day demands such as ensuring the watch is perfectly water-resistant. The bezel on this Tonneau watch is formed from one block, with no overhang or breaks in the plane. 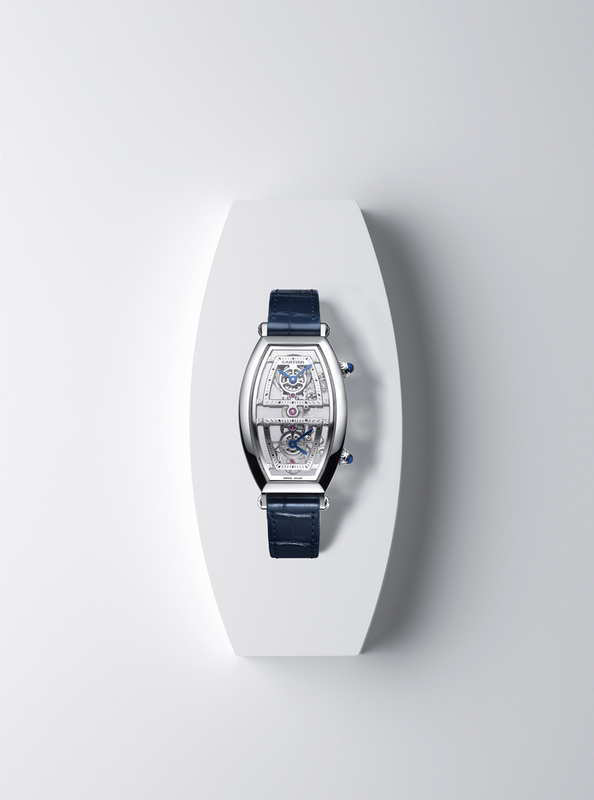 Its contours and lugs melt into the watch case. Polished, rhodium-plated numerals stand out against the dial background – champagne-coloured on the pink gold version, silvered on the platinum model. In pink gold or in platinum with a ruby cabochon and issued as a numbered limited edition of 100 pieces, all models are fitted with the new 1917 MC Manufacture calibre. 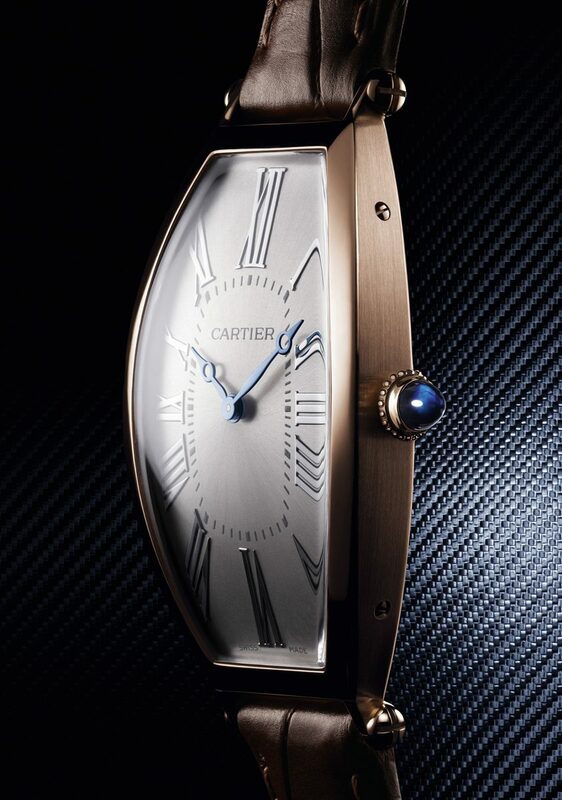 With this new watch, Cartier pays tribute to the Tonneau XL dual time zone model in the CPCP collection, which initially had two separate mechanisms for the home time and the second time zone. Cartier has incorporated the same exacting characteristics, adapting them to the initial shape without altering it. Selecting a curved case, placing a dual time zone in it, making the whole run on one single movement – 9919 MC calibre – and fitting the geartrain in a line: all this called for every iota of technical mastery and spirit of innovation that Cartier can demonstrate. Two complex feats were required in order to remain true to the original shape. Firstly, to retain the watchcase’s elongated form, all the wheels of the geartrain had to be aligned between 12 and 6 o’clock. Then the shape of the movement underwent modification, being made to curve so it fits within the curved contours of the Tonneau watchcase. The geartrain features angled cutting on its barrel and escapement wheel. This concern for comfort and ergonomic design required a feat of watchmaking prowess in ensuring the watch follows the curve of the wrist. Lastly, in the pursuit of aesthetics, the two time zones were linked to create a display combining the useful with the pleasurable: the time is easy to read on the skeleton bridges, and the second time zone is set by pressing on the crown at 4 o’clock and by one-hour jumps. 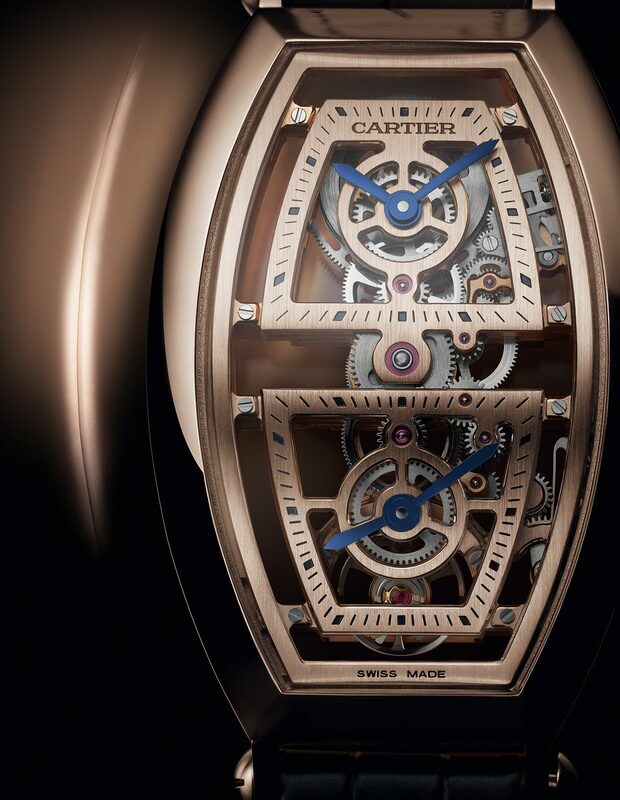 Cartier adds its own watchmaking signature by skeletonising the movement. 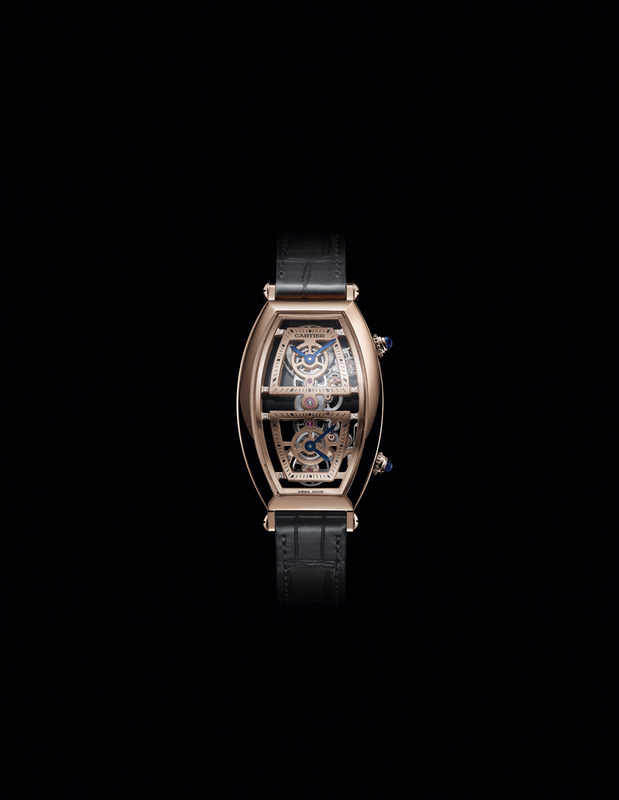 The pink gold and platinum versions come in limited, numbered editions of 100 pieces, while 20 numbered pieces are available in the baguette-cut diamond-set platinum series.